For our anniversary we decided to do our own EatOurWayThru North Portland. We started early in the afternoon, so we made a stop by Pip’s Original for Donuts. You know, a little dessert first…it never hurt anyone. Well except my kids, my kids can’t have dessert first. 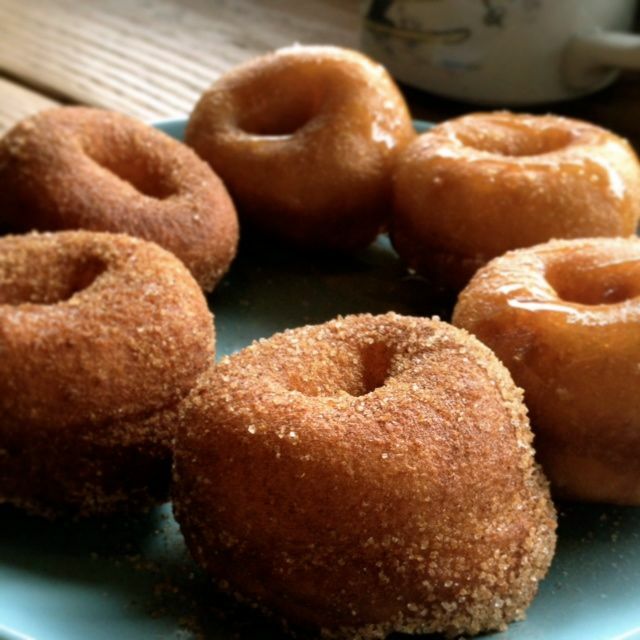 I love Pip’s because they are tiny donuts with big flavor. I don’t need a lot, so this was a perfect little snack on this warm spring day. We sat in the sun, and munched on donuts and talked about the last 23 years together. From there we drove over to Oregon Public House. I have had my eye on them for quite some time. Not just because they had tons of beer on tap, but because I also wondered what it was exactly that they did. Here’s how it works. You go in and buy your beer and then you choose from a list of organizations that you would like to vote for. You are casting your vote so that the one you choose can receive the donation at the end of the month. The final organization that is chosen is based on who got the most votes. 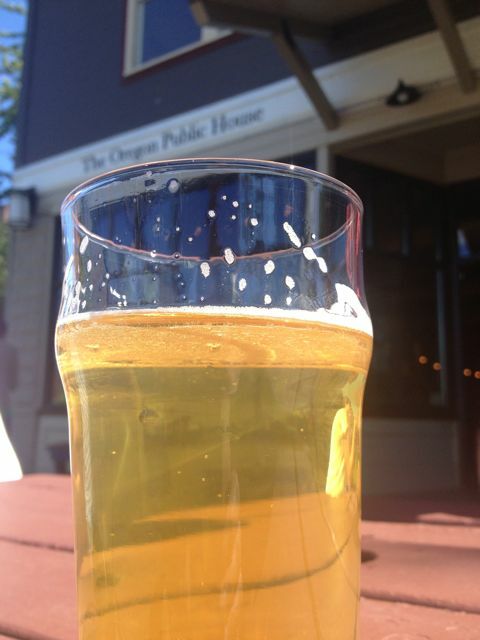 Oregon Public House donates all their profits at the end of the month to an organization. It’s a great concept. I loved the atmosphere of Oregon Public House. Light and bright in the front, big long bar in the middle and lots of seating in the back. On this sunny day we chose to sit outside and people watch. Pricing seemed pretty reasonable for a beer and knowing that the profits were being donated made it seem even better. Service was great. They would come out to the street to check in on us, even though they didn’t need to. Lots of beers on tap, great concept. From there we walked over to the Firehouse. You can read the full review of the place here, but let me tell you, this place was fantastic! We loved it. It’s actually an old firehouse converted into a restaurant and it does wood fired everything. Check it out for sure. Being an adventuresome couple we decided to end with dessert. The night started off so well, it seemed like a great idea. We quickly drove Downtown. I know, not even close to North Portland, but we had to head back that way to get home. 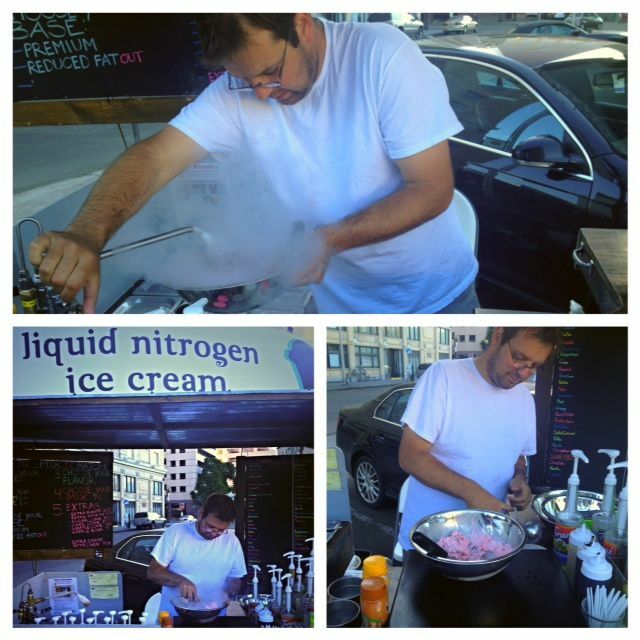 Liquid nitrogen ice cream made right before your eyes! Anyways, we stopped by Mix ‘n’ Match Creamery. They use liquid nitrogen to make the ice cream, literally right in front of you. You order a flavor and 1 mix in (you can obviously add more, but for the set price that’s what you get.) Unfortunately we went by rather late, so the fresh fruit was gone, but there were still plenty of other goodies there. We got Cheesecake ice cream with a candy bar mix in. This was seriously so good, not to mention crazy cool. But get this, for an extra 50¢ you can get additional liquid nitrogen. Why you ask? It will freeze it even more and you then take it down to the water front and eat your ice cream and people watch without fear of it melting on the way down. Check this place out. I am glad we stopped by. Even if they are out of some stuff, there is still plenty to choose from. Follow them on Facebook so you can watch their hours. They sometimes shut down for rain and they are often open til 1am on the weekends. Pricing is great. Especially when you consider you get an add in with the price. Mix n Match sounds so fun and cool! 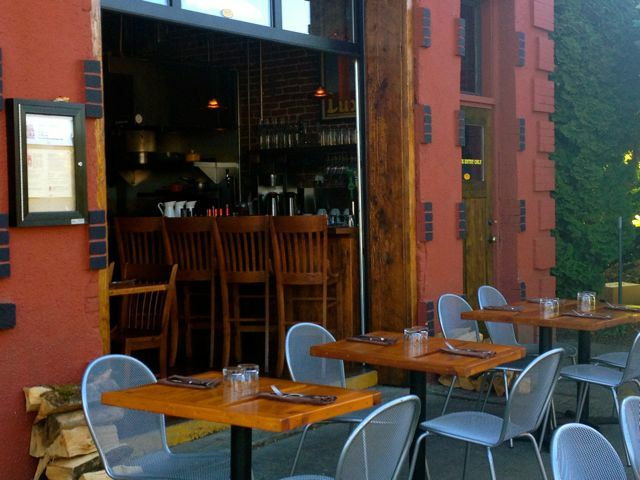 I have had Oregon Public House and Firehouse on my wishlist and liked how you combined them into a sweet date night! But new to me is Mix n Match… I hope I have the tummy fortitude.